The main approach of DiMo is characterized by an iterative research and development process to provide evaluated near real-time concepts, including frameworks, networks, and software-based implementations of algorithms, for the entire process from motion quantity to motion quality. 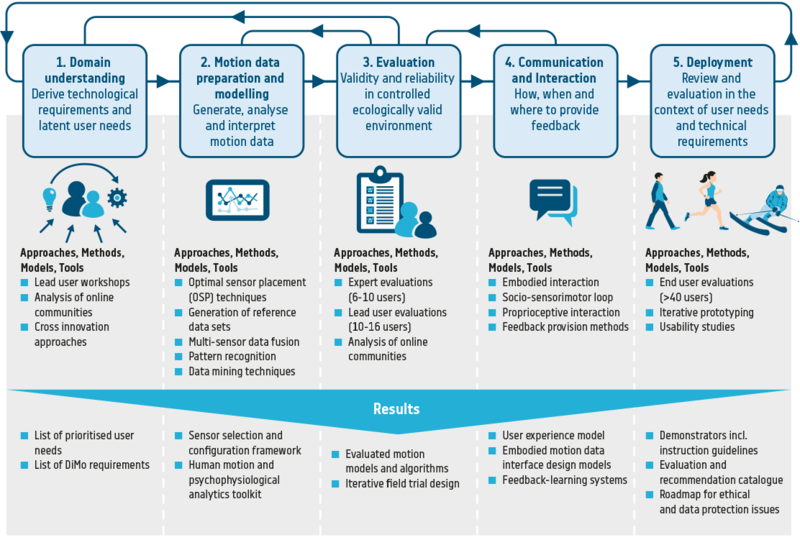 We follow a user-centred research-through-design approach. This includes research prototypes and user experiments within the design and the research process.